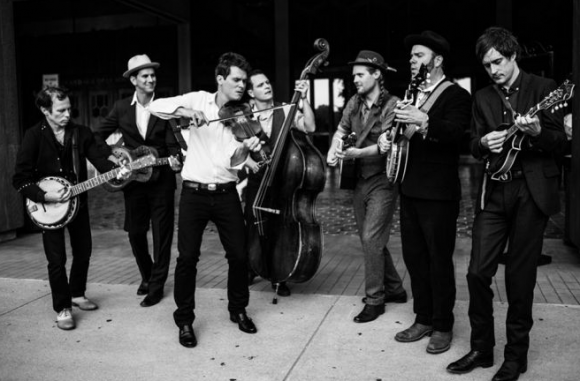 Check out the new song from Old Crow Medicine Show. Old Crow Medicine Show has been on a steady rise since they first started making music. They are different. They are good. And fans recognize the talent and enjoy the music. I would say it’s definitely country and their new song has a little bit of a rural feel to it, but I think it’s catchy enough for the mainstream. Check it out and see what you think. The music these guys make is just so enjoyable to listen to. You hear the melodies and all the different instruments and it makes you feel good. It’s not always possible to fully understand what is going on in the lyrics, but sometimes that’s not important. You can feel the warmth and happiness in the vocals and the sounds and it makes you smile. That’s the reaction I get anyway when I listen to this song. But as with most songs this one is kind of tricky. I think it’s about a guy that falls in love with a woman only to have it not work out. She left or something else happened and now he’s left looking back fondly, but with sadness. It’s still a great song and many of us have had those relationships where we knew that it probably wouldn’t work out, but we gave it a chance anyway. Sometimes it’s still worth it because the time we share with them is amazing. And maybe sometimes you can go back and see if the fire is still there even if it’s just for a night. Old Crow Medicine Show is a great band. They seem to be picking up even more steam after Darius Rucker covered their song last year. I hope they continue to find success. Old Crow and bob dylan did not write sweet amarillo. Why on earth would they be low enough to take an old song from the 80’s and re-write the verses? and THEN lie about the whole thing??? Just unbelievable . Do they think EVERYBODY who listens to their stuff is stupid? Just go to youtube and look up brenda patter son’s recording of sweet amarillo from a long time ago. she sang on dyads pat garrett movie soundtrack. She knows he didn’t write the song. What’s wrong with him? doesn’t he have enough success of his own without lying about writing other people’s songs?